Apologies if this is creepy, but I just adore overly dramatic Halloween costume pieces! 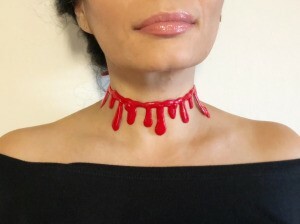 I've seen similar chokers for sale for $15, and this cost me no more than 50 cents in supplies. Here's how to make one yourself. 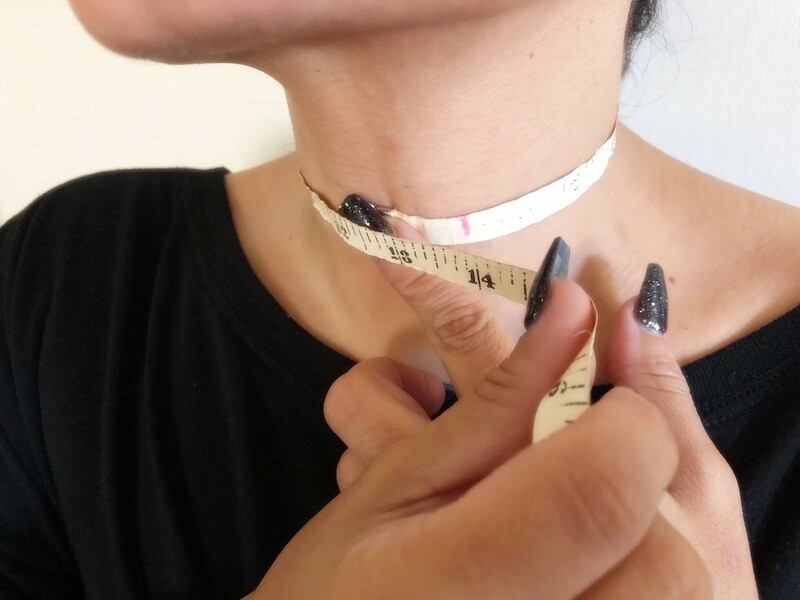 Measure your neck so the tape measure is tight, but not painful. Subtract 1 inch from your neck size and draw start and stop markers of that measurement on your parchment paper. 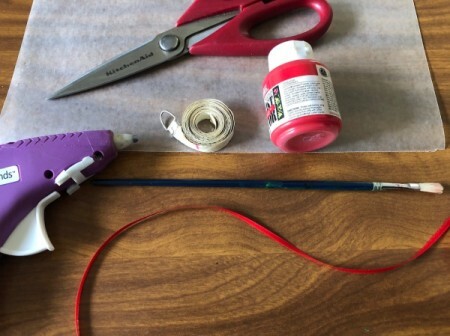 Draw a straight glue line across the markers, a few millimeters in from the lines. Draw thick little rings at the end of the line so they reach the marker lines. 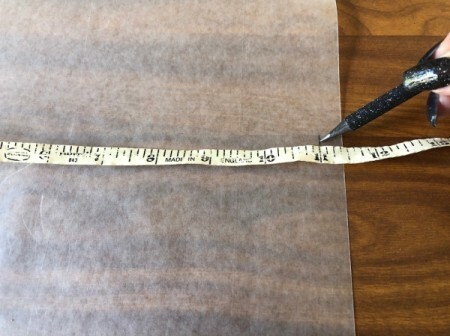 Start dabbing glue down the horizontal line, pooling the glue at the bottom. This will be your dripping blood. 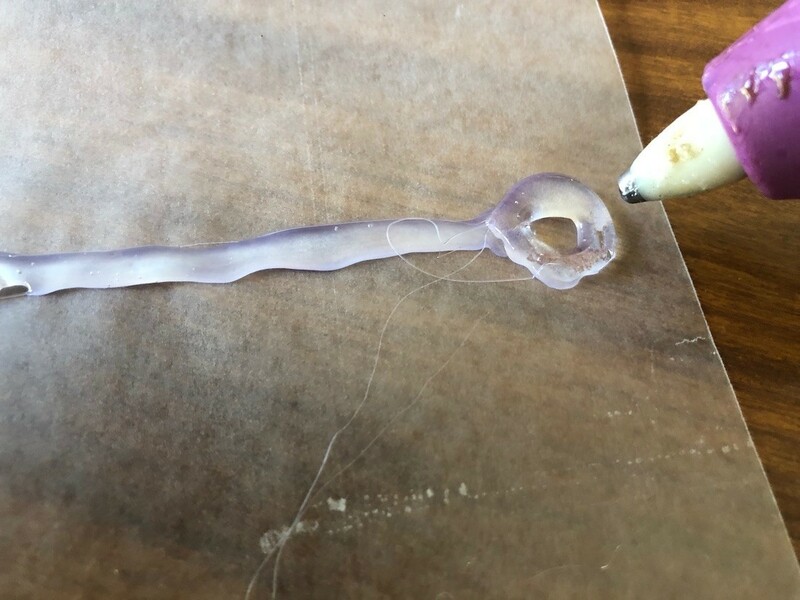 Go all the way across, making some drips longer than others. 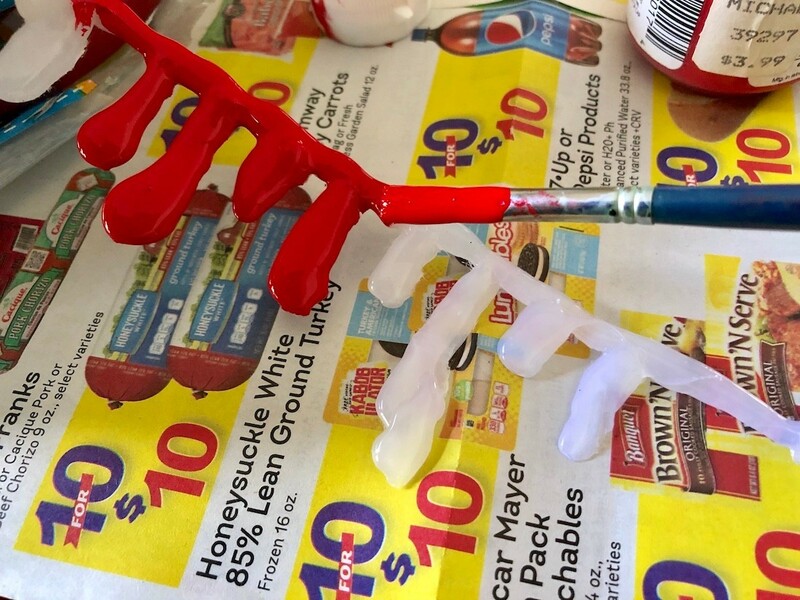 Hot glue dries very quickly. 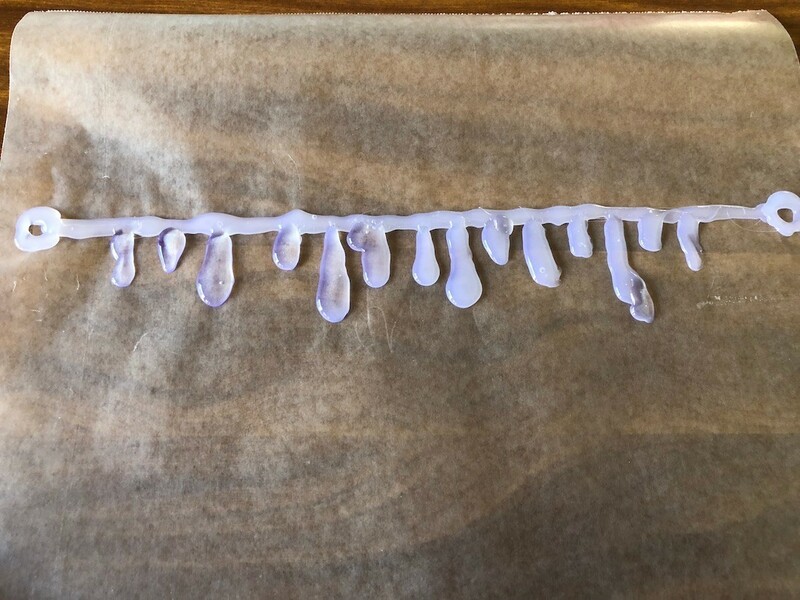 When cool, lift off the parchment paper. 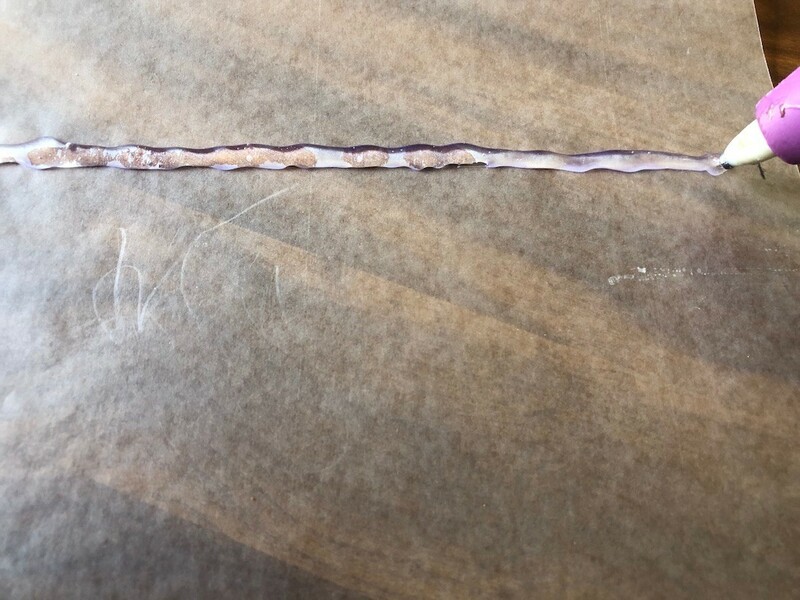 Pick off any thin strings of glue that have hardened, and any bits of parchment paper that stuck on. 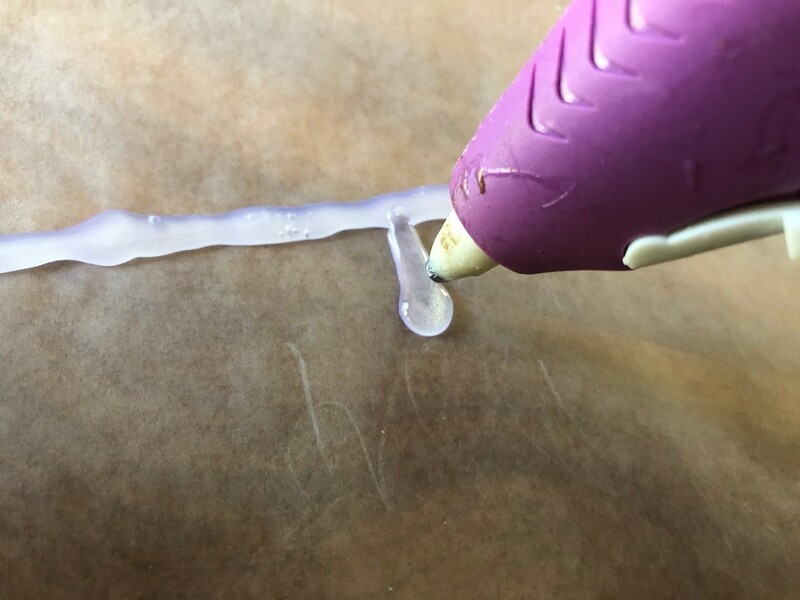 You want this to look as smooth as possible. 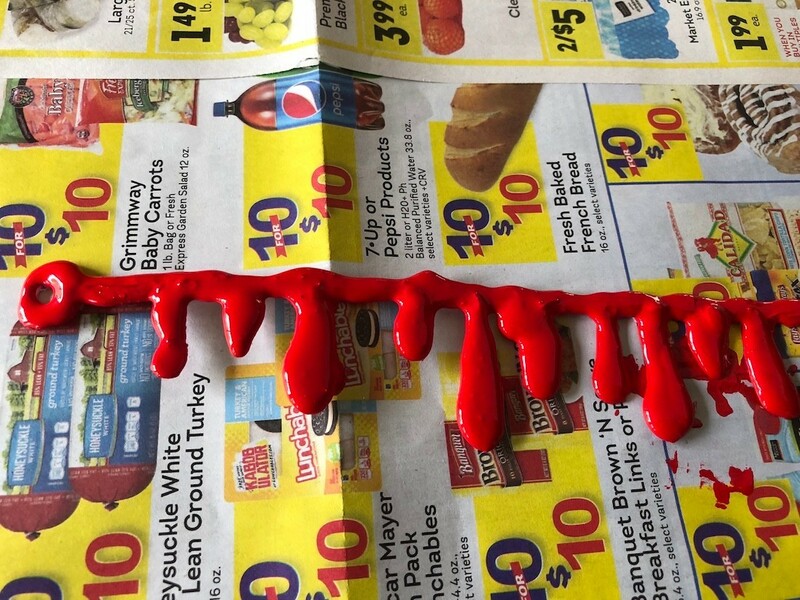 Lift up the necklace a bit and paint it red, making sure you coat the edges. Allow to dry completely, a few hours. 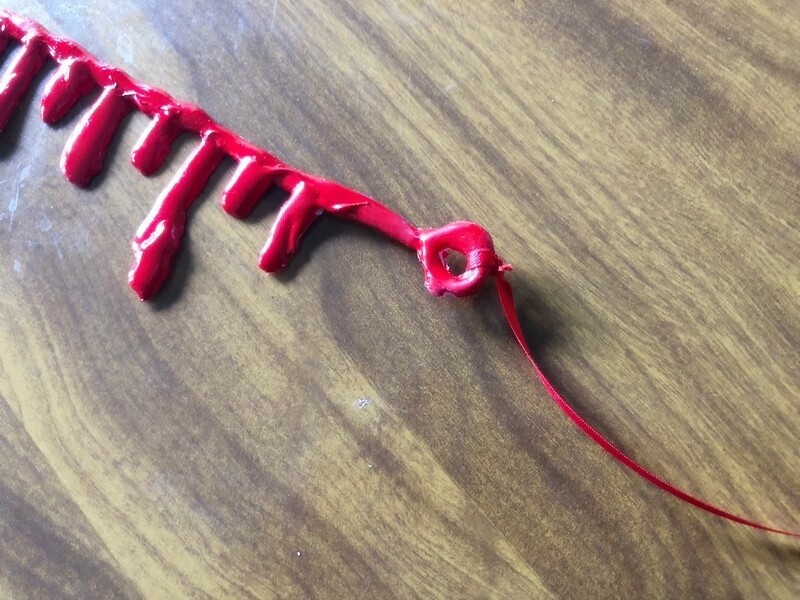 String a little piece of red ribbon or yarn in each loop, tie a knot to secure, then tie it around your neck.